Hi guys, it’s Rose here from Manicured and Marvelous. Today I’ll be showing you how to do an easy but beautifully stunning mani. I happen to enjoy this look for date night but you can rock it wherever, whenever… like Shakira, haha. Enough with the suspense! 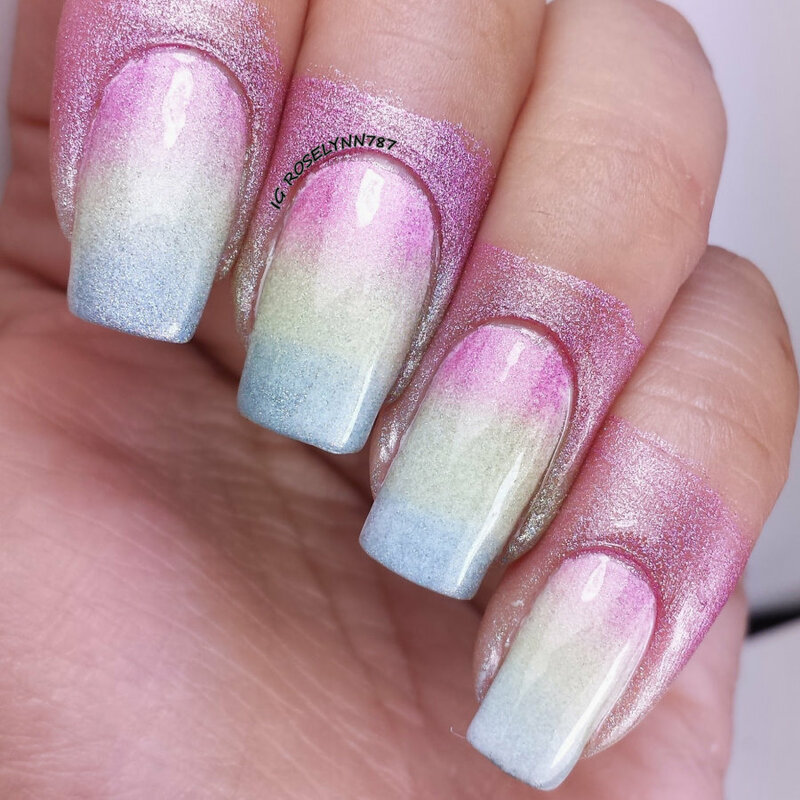 I’ll be showing you guys a how-to for a holographic gradient mani. 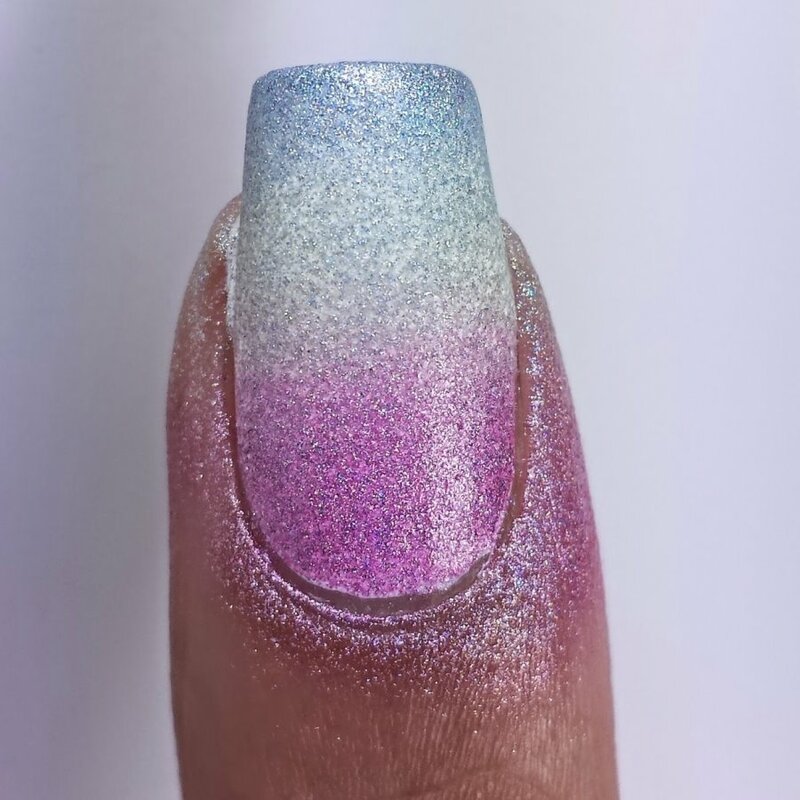 Warning: This mani may cause holo lovers to drool over your nails. After applying a base coat, you’re going to paint your nails completely white. Don’t worry about streaking or being neat. You only need to make sure your nail is covered, preferable with one or two thin coat(s). Allow enough time for your polish to dry before moving on to the next step. Next you’re going to take your three polishes and paint the sponge. Using the pink polish first, I make two thick lines on it, followed up by doing the same for the green, and afterwards the blue. 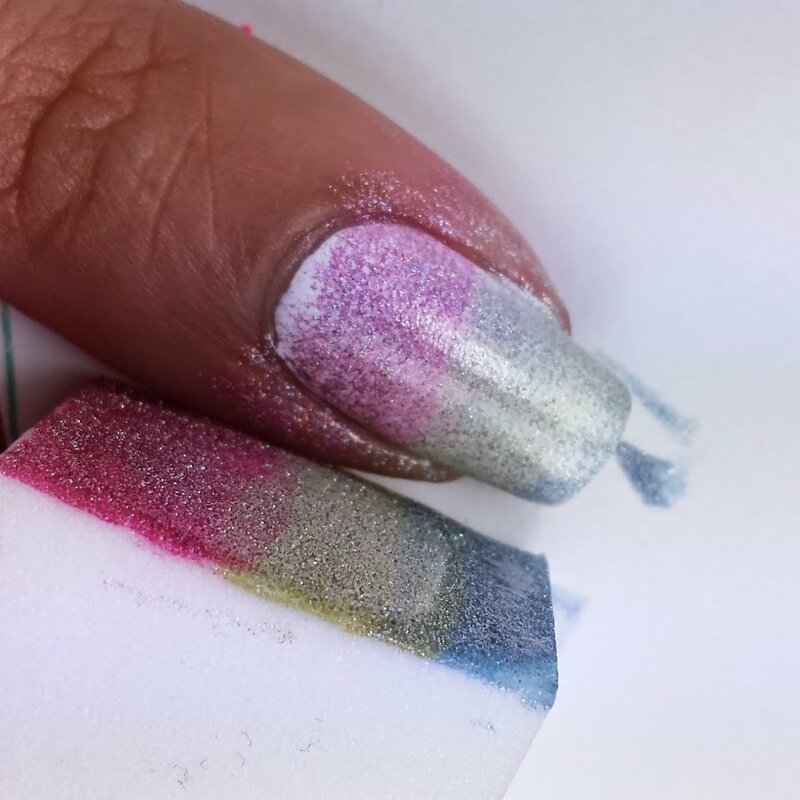 You should make sure that the edges of your polish lines touch and blend in. Pat the sponge against a paper towel to remove some of the excess polish. 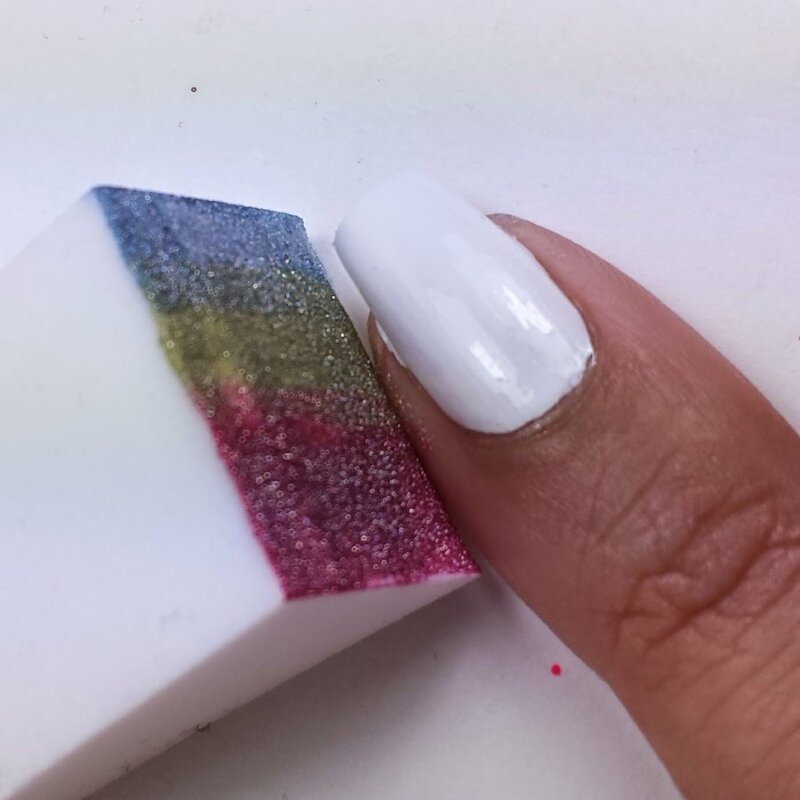 Now you are going to line up the sponge to the side of your nail and roll it. Repeat this two-three more times until you find the level of opacity you’d like to achieve. If you feel you need more polish on your sponge after the first roll, apply it in the same manner you did before. 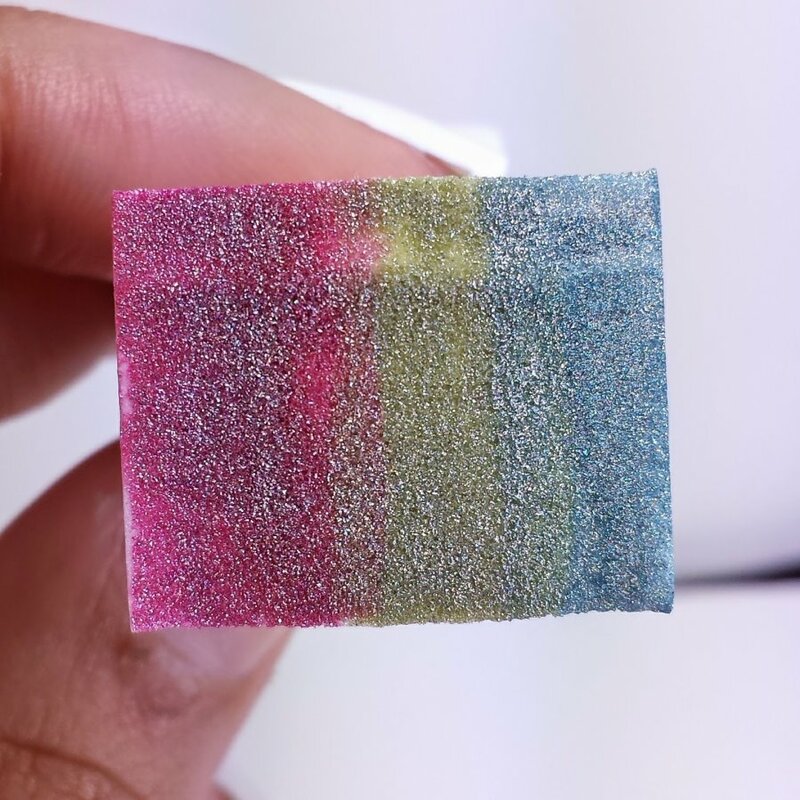 For this mani, I found myself rolling the sponge four times per nail. Personally, I use the same sponge for all five nails but you don’t have to. 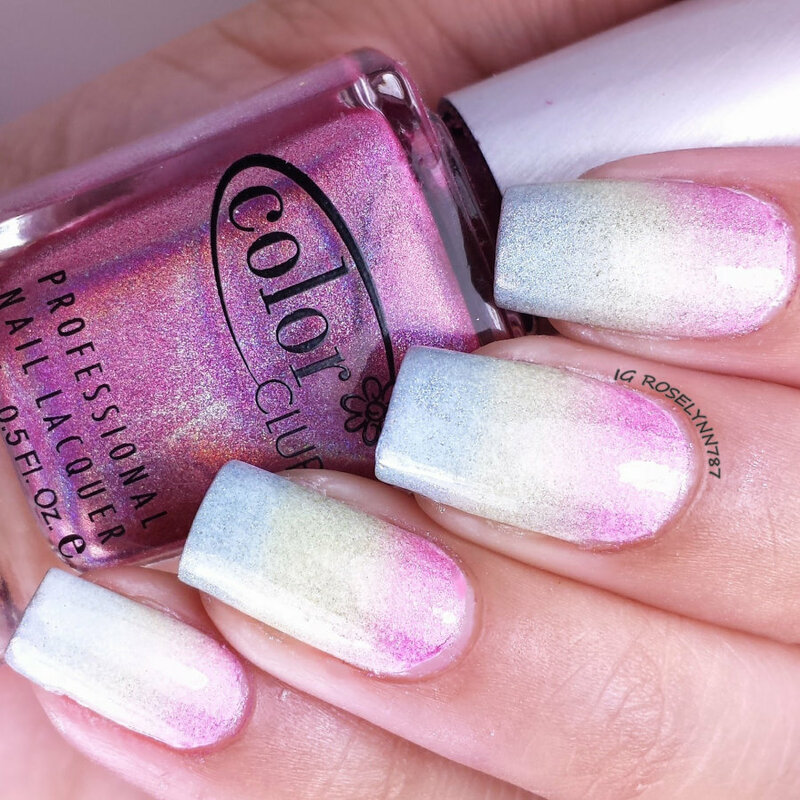 Make sure you use a topcoat to further blend the colors and give it a beautiful glossy finish. And that’s it! Well almost… cause you know… the clean-up, haha. I hope you guys have enjoyed this tutorial and try it out for yourselves. Come up with some fantastic color combinations of your own and have a blast. A special thank you to Steph for having me be a guest this today, I loved coming up with this for you all! Take care and see you later nail lovers, xoxo. That gradient looks so good! I like it. Great guest post.